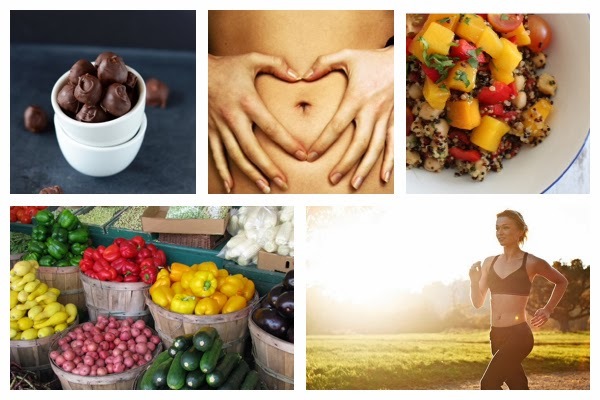 Latest tips and articles on all things heath, fitness, food and well-being from around the web. Ok, so these aren't exactly 'healthy', but if you're gonna treat yourself, there are worse things in life than some blended nuts dipped in chocolate. I made these homemade peanut butter m&m's from Minimalist Baker at the weekend and, well, let's just say there are none left. Great for a sweet treat with some savoury nibbles. (If you wanted to try and make them a bit healthier you could just swap peanut butter for almond butter and peanuts for another raw nut-but they might not taste as good!). A PT's insight into how she learned to love her body. Quinoa and mango in one dish? Two of my favourite things - I'm in. I've recently joined the 'eat clean' revolution (80% 60% of the time anyway) and I have to say, when I get it right it really does make me feel better. Here's some info on the who, where, what, why of treating your body clean. Getting your gym kit and runners on is one thing but do you know how to fuel your body for a run? I want to eat the Mango and Quinoa salad! I know-looks incredible doesn't it!